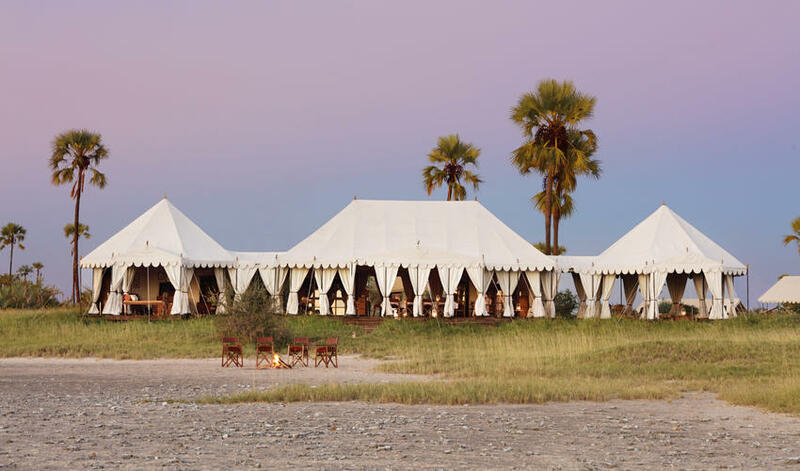 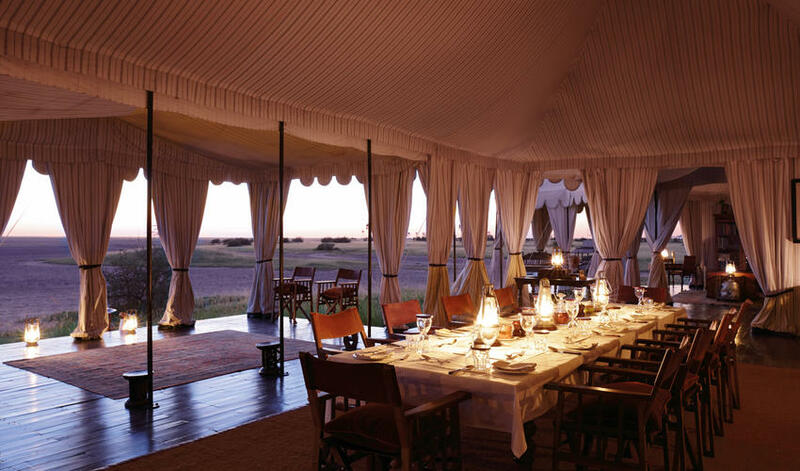 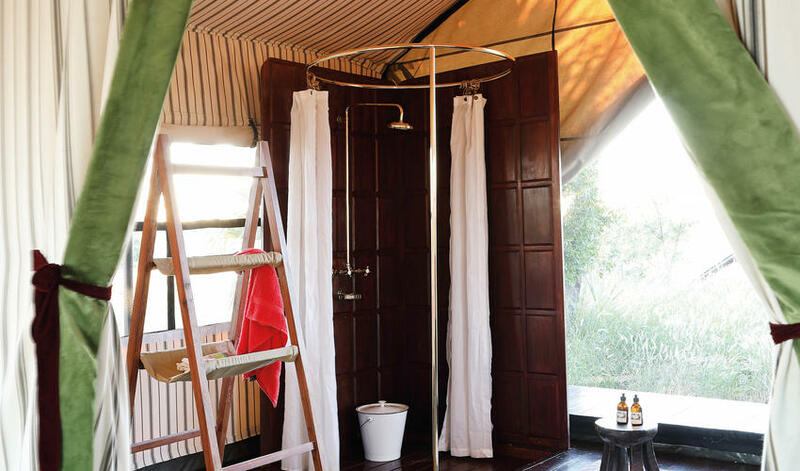 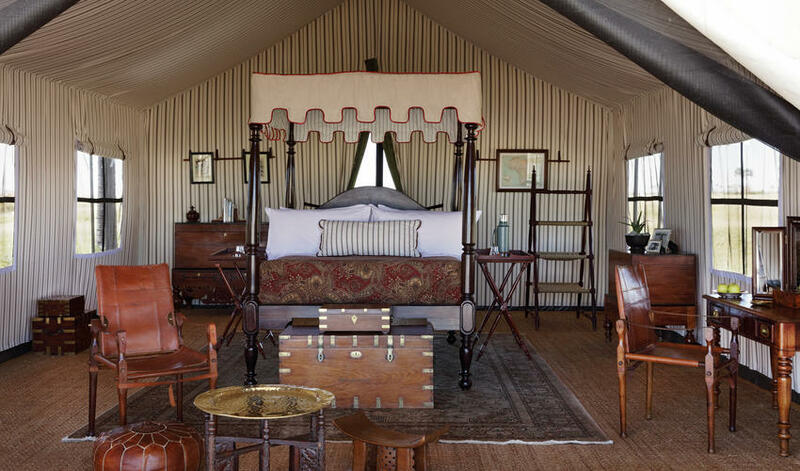 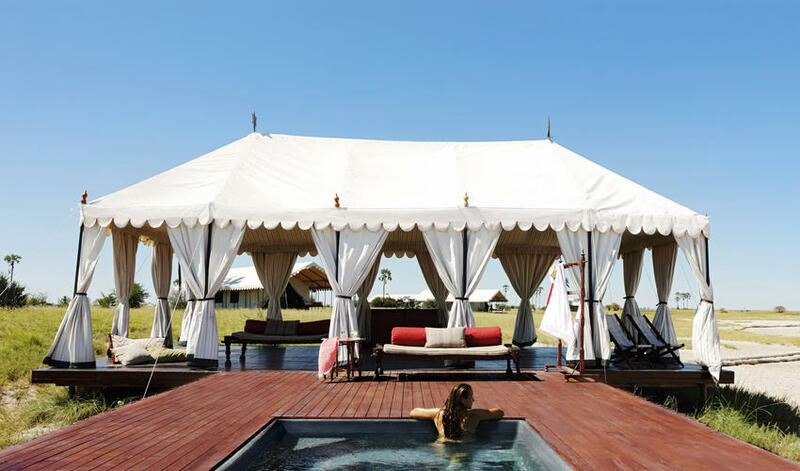 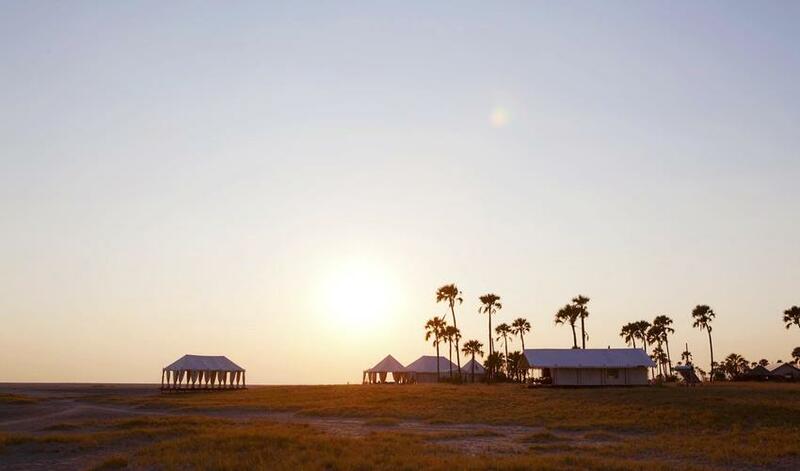 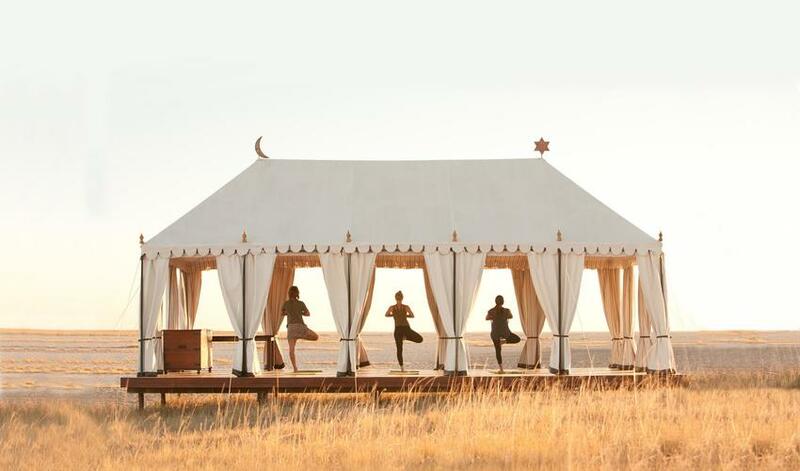 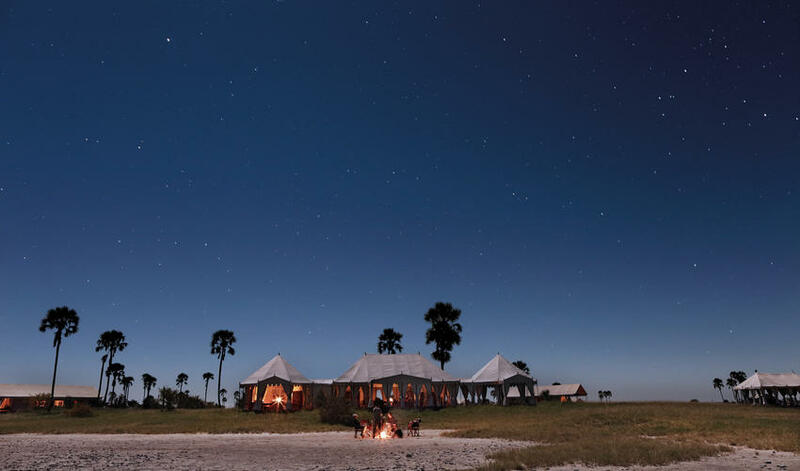 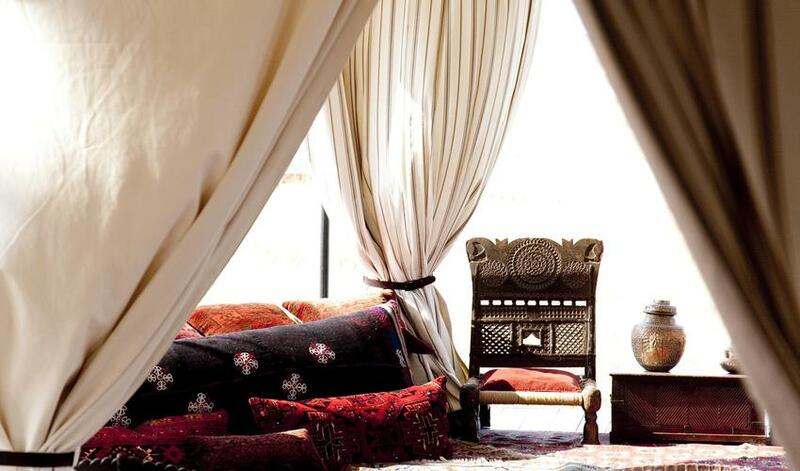 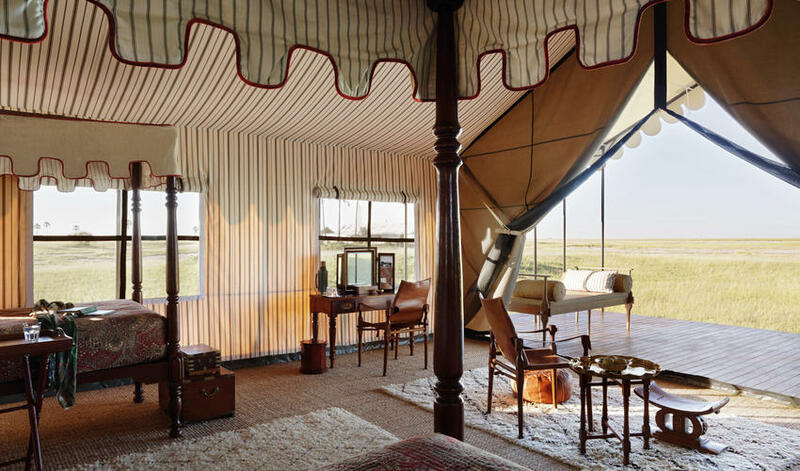 Rising out of the Makgadikgadi Salt Pans and sheltered by desert palms, San Camp’s white tents are elegant and romantic with a stylish décor that is a bit simpler than the eclectic mix at Jack's Camp. 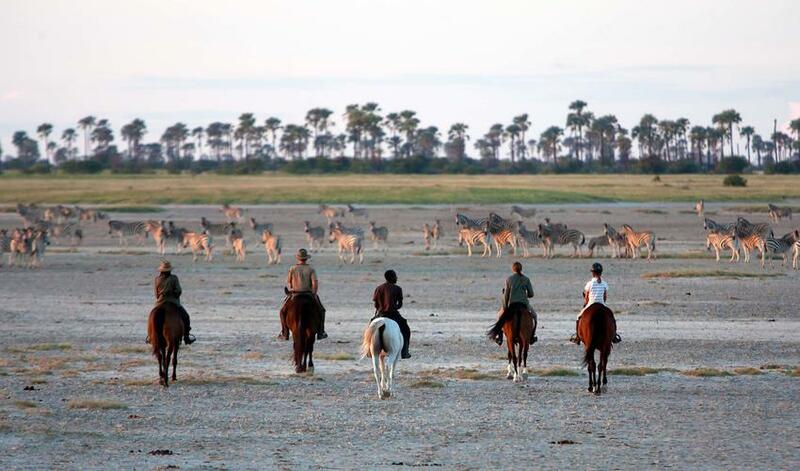 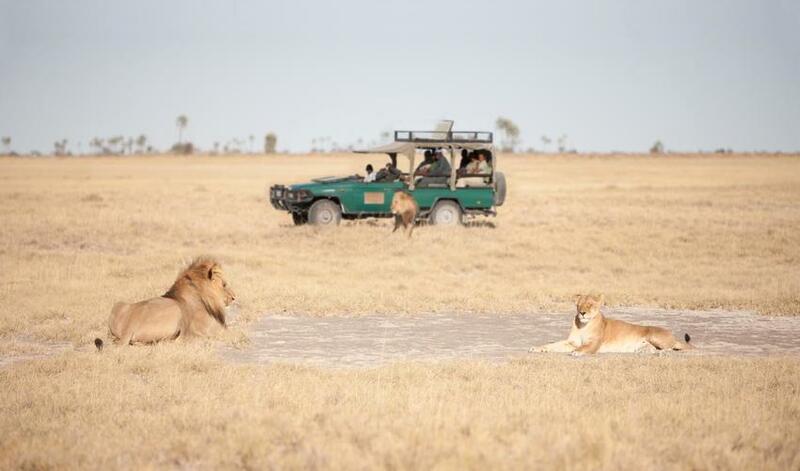 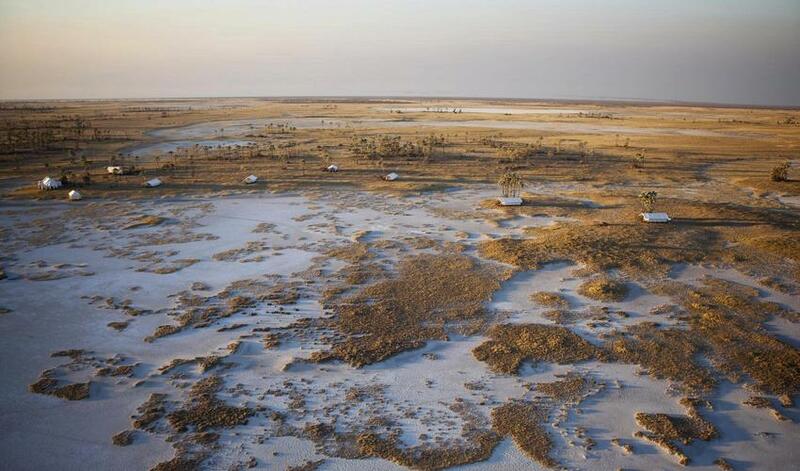 San Camp is open only six months of the year, (mid-April to mid-October) to tie in with the dry season. 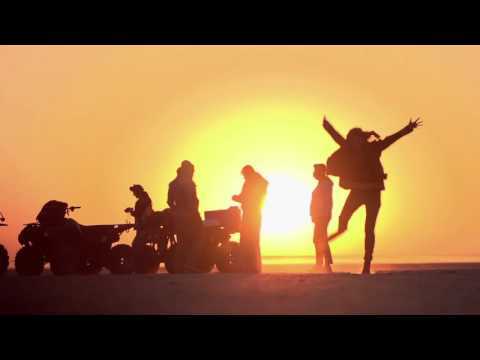 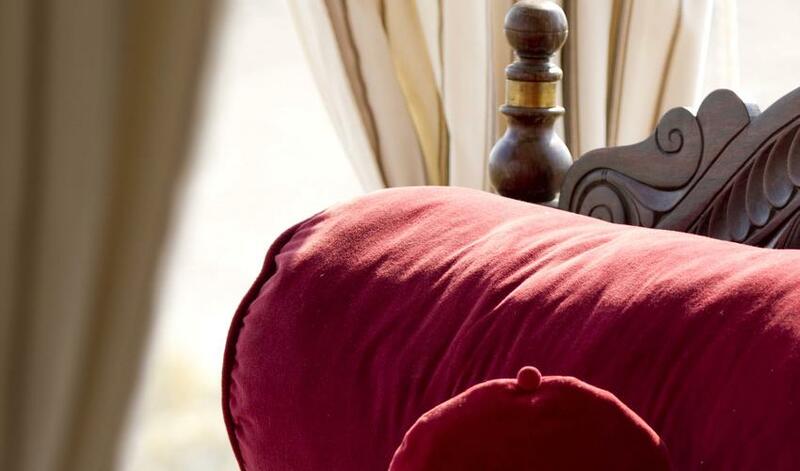 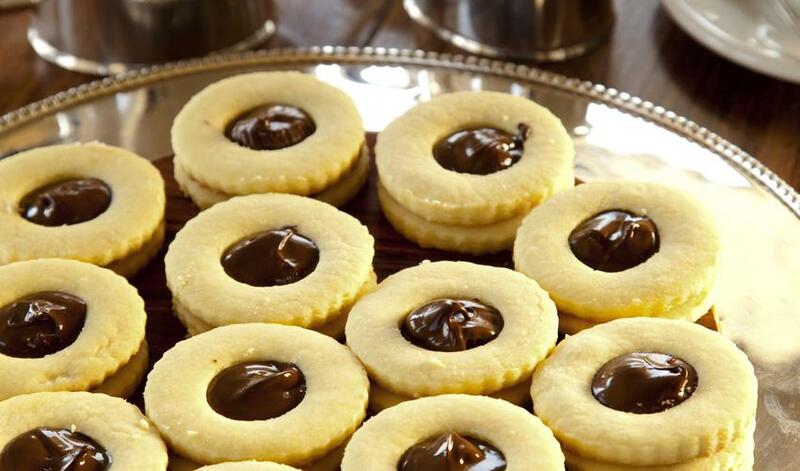 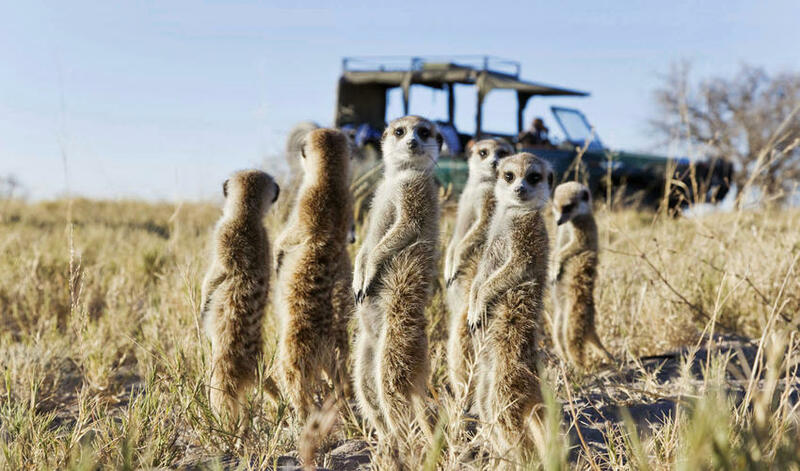 It provides all the exhilarating desert activities to be expected of this area, including quad biking across the pans, visits with habituated meerkats and walks with the Zu/’hoasi (San) Bushmen. 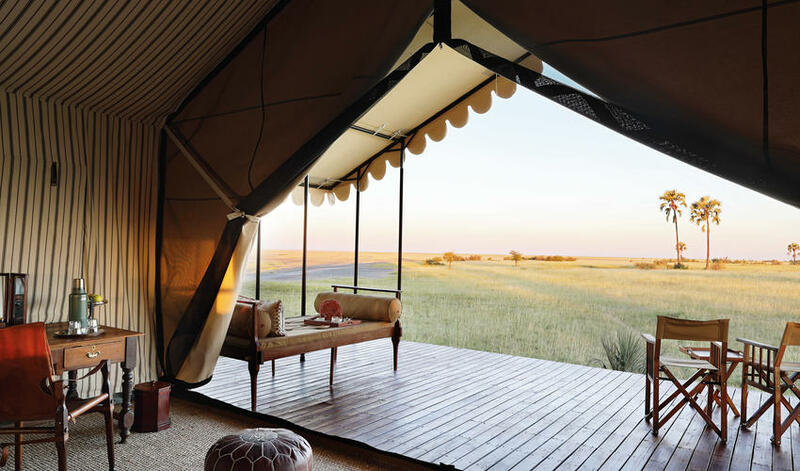 We love San Camp for its spectacular desert scenery; lying out on the pan gazing up at the stars that strech from horizon to horizon. 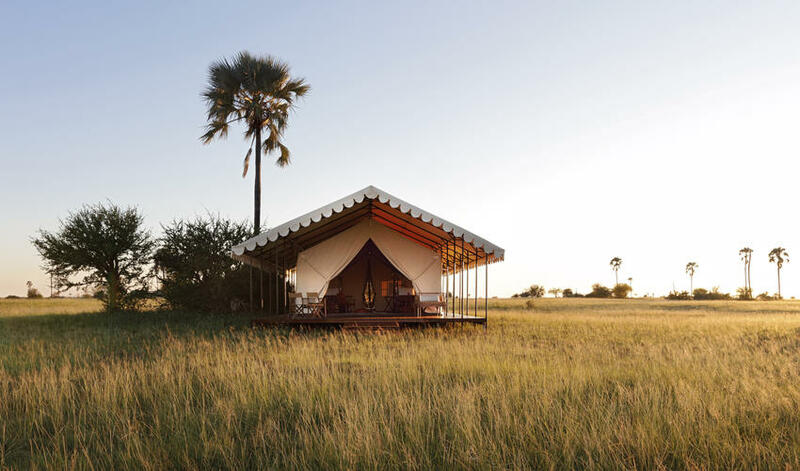 Camps in this desert area offer a dramatic contrast to the lush Okavango and Linyanti regions, making for a greating pairing.